Zagreb is filled with Gardens and Parks throughout the city. Actually, there are hundreds of parks and gardens that offer refuge from the metropolis. 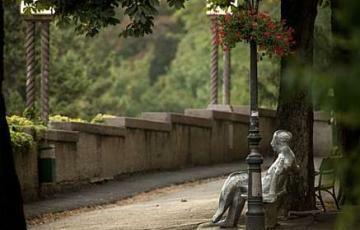 A beautiful and relaxing place close to nature is never far away in Zagreb. With Medvednica Mountian Nature Park it would for sure be one of the greenest cities in the world. Zagreb is not just about history, it is also about nature. The best examples are Zagreb Gardens and Parks. Zagreb Gardens and Parks are perfect places to relax, go for a stroll, have a picnic and even sunbathe. Zagreb cemeteries are one of the preetiest in Europe because of their lush greenery. Perfect for a walk and relaxation. A famous part of Zagreb is the Green Horseshoe, or the Lenucci Horshue. A U-shaped system of parks and squares in the Lower City. An ideal route for exploring the city and escaping the sun. Zagreb Gardens and Parks are good for almost anything. Wandering around, taking pictures and observing local life and nature. Parks in Zagreb are good for almost anything. Check out our list of Zagreb Gardens and Parks you should visit.